Wasps Netball’s Jade Clarke says the last two weeks have been a learning period and the experience will benefit the reigning champions later in the season. The Black and Golds will host London Pulse on Mother’s Day at Ricoh Arena (4pm centre-pass) – as the reigning champions look to get back to winning ways after consecutive losses by a one-goal margin. Wasps currently sit in third position in the Vitality Netball Superleague, with league-leaders Manchester Thunder holding a three point advantage. The battle for a top four spot is in full effect with Saracens Mavericks, Wasps, Team Bath and Loughborough Lightning all locked on 24 points. Clarke, who has featured in every fixture so far this season for Wasps, said: “It has been a tough learning period for us but it is all part of the season journey. “I don’t think that any season ever runs perfectly smoothly but we’ve got a squad full of really strong characters and we’re determined to learn from the recent losses. “We shouldn’t forget the positives and how well we have been playing for large parts of the last few games – we have actually played some of our best netball. “I love these exciting games and now we’re working hard on how we can close them out under pressure. “We are looking at each game and seeing what we need to improve – everyone is raring to go on Sunday. London Pulse come into the fixture bottom of the table and without a win since the first round of games. Wasps came out on top when the two sides last met, winning 61-50 back in round three at the Copper Box Arena – but the Black and Golds did trail early after a fast start from the London-based side. Clarke added: “It will be really nice to be back in-front of our home crowd. We haven’t played Pulse since round two. They have been pushing teams all season and it will be a good test for us back at home. “This season’s Superleague is the most competitive I’ve seen it in my career. Any team can beat the other on the day and you have to be at the best. “Having this kind of competition in the league is perfect in the lead up to the Netball World Cup later this year in Liverpool. Our league is so strong at the moment and every game is played at high intensity. Jade Clarke is confident Wasps Netball can bounce back from their first defeat of the season in style this weekend. Wasps will host Severn Stars in a West Midlands derby at Ricoh Arena on Sunday 10 March (4pm centre-pass). 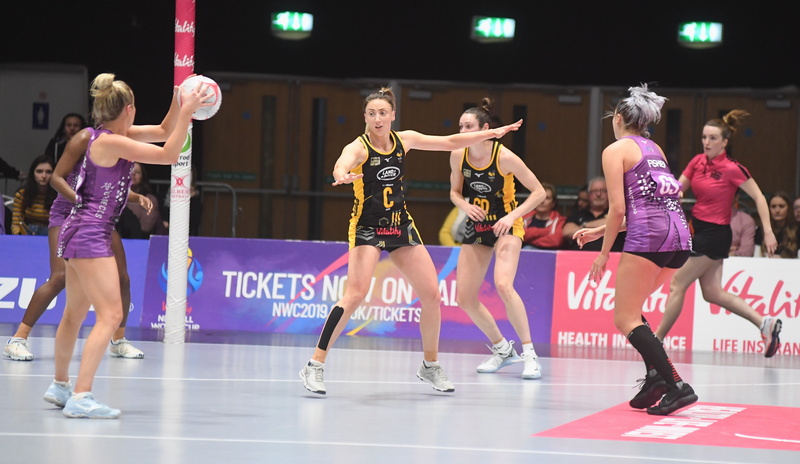 The Black and Golds’ seven-game winning run came to an end against Manchester Thunder on Wednesday – in what was their first loss of the Vitality Netball Superleague season. But Clarke, who is England’s all-time international appearance record holder, believes team culture and strong leaders will help the team return to winning ways. Clarke said: “We have great leaders throughout the group. It’s not just the older players, we can always rely on the team culture we have here to get back on track. “At Wasps we are a squad full of perfectionists, so it’s good to have a game so soon after a loss to put what went wrong right. “Experiences like the loss against Thunder will put us in good stead for the latter stages of the season, it taught us a lot about ourselves as a team. “To pull it back like we did from a 20-goal deficit in the final-quarter was promising. Wasps come into this weekend’s fixture still three points clear at the top of the Superleague table. The fixture will mark the midway point of the season, with Stars currently sitting in eighth position. It will also see the return of Lucy Harris, two-time Superleague champion with Wasps, who joined Stars in the off-season. Clarke added: “Stars are looking for that performance where it all comes together. They have been unlucky at times this season but have had some standout wins like recently against Strathclyde Sirens. “It will be great to see Lucy Harris and play against her in the mid-court. In Georgia Rowe they have a skilful and tall shooter, which will be a different challenge to what we have faced so far this season. “If the last couple of weeks have proved anything it’s that every team in the league is capable of a win on their day. Tickets are also available for the Vitality Netball Superleague Grand Final! Two of England’s most decorated netballers will go head-to-head in a tournament at the Ricoh Arena this weekend. Wasps Netball star Jade Clarke and Team Bath’s Serena Guthrie will meet as part of a Tri Tournament at the Ericsson Indoor Arena on Saturday, November 17. Three teams will compete in the pre-season showcase, with Bath, Wasps and Vitality Netball Superleague newcomers London Pulse battling it out on the day. The packed afternoon of action will see the first centre-pass take place at 3pm, with the final game underway at 5.45pm. Clarke is used to lining up alongside Guthrie in an England dress, but this will be the first time the duo have played against each other since their time playing in the Australian Suncorp Super League. They have both been named in the Vitality Roses squad for a three-match series against Uganda next month, with Guthrie as captain and Clarke as vice-captain. The squad also features Wasps’ Rachel Dunn and Bath’s Eboni Usoro-Brown, who are both expected to be in action at the Ricoh Arena Tri-Tournament. Clarke says she is looking forward to testing herself against one of the world’s best mid-court players. “We have always had good battles over the years and we love coming up against each other,” she said. “Serena is one of my best friends and I think you always go harder when you play against your friends. She is one of the best in the world in her position and it will be good to test myself against her. It will be the first time that netball fans will get the chance to see London Pulse’s Vitality Netball Superleague side take to the court – after announcing their squad for the 2019 season only last week. The tournament will also be Wasps’ first outing since lifting the British Fast5 All-Stars title last month. Clarke added: “We’re very interested to see what London Pulse will bring. Their squad has a real mix of quality and I think they will be a dark horse in the upcoming season. “I’m really excited to be back out there in a Wasps dress. We haven’t got long until the new season starts and pre-season tests like this are really important. Wasps Netball season tickets for the 2019 Vitality Netball Superleague campaign are on sale now exclusively to 2018 season ticket holders, with season tickets on general sale on Saturday, November 17. Loughborough Lightning missed the chance to record a win over Team Bath on Friday as they lost 60-44 away from home. Their fellow play-off rivals were strong opponents, making it tought for Loughborough to get a grasp on the match. Lightning faced one of their biggest challenges yet as Bath dominated the first half, and after a hugely physical and fast paced game the hosting side took away the victory at Lightning 44 – 60 Bath. After a double header of difficult and close games, the Loughborough Lightning team headed south to face Team Bath. With marked determination from their tremendously close game against Team Northumbria on Monday, the Lightning team clearly had something to prove as they set out onto the court. 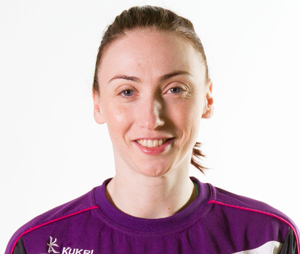 It was also Jade Clarke’s last appearance for Loughborough Lightning. Bath took the first centre pass and put it straight to their GS who took the first goal. Loughborough University alumni Hannah Joseph worked hard at WA to get the ball to her offensive players, but Bath were quick to take it back and soon had a three-point lead within the first minute and a half. A fast ball from Vanessa Walker to Peace Proscovia ensured Lightning with their first goal. However Team Bath were unrelenting in their offensive plays in the first quarter. Last week’s player of the match Ama Agbeze was hugely disruptive of Bath’s GS, putting her dynamism to good use. The pace of the game was clear from the number of long balls used, leading to fast movement by both sides up and down the court. Jo Trip made an interception to prevent Bath building on their four-goal lead with seven minutes to go in the first quarter, and from there the score-line remained at a two or three goal difference. The second quarter began Lightning 13 – 15 Bath, with Kadeen Corbin coming on at GA to replace Walker. Agbeze continued to disrupt Bath’s GS and GA whilst Corbin made her presence felt immediately, as she made an interception, securing the ball for Lightning. Fantastic cohesion between Joseph, Clarke and Corbin saw Lightning get on the scoreboard, but it was Bath’s frequent use of the long ball that put Lightning under most pressure. Outstanding defensive play between Agbeze and Trip led to an interception as the game’s physicality became more and more apparent. Soon after being brought on, Lauren Nicholls got into her stride and began to work the Bath WA hard, mounting huge pressure on her. Despite a huge shift in Lightning’s aggression, Bath moved away with a six-point lead. Interlink play in the centre third between Nicholls and Joseph demonstrated the chemistry between the two on the court as the ball reached the offensive players. Prosocovia had an unusually quiet game however England star Corbin was clearly confident in her shooting ability. The third quarter began with a number of changes by Lightning as Clarke moved to WD, Natalie Panagarry taking Centre, Agbeze to GK, Walker to GA and Lauren Massey in at GD. Lightning’s intensity was clearly upped in the third quarter, with the side reenergised after the substitutions. The visiting side used numerous long balls to counter Bath’s fast paced style of play with Peace delivering the ball to Walker to put away their first goal. Bath were now leading with a ten-goal advantage and sought to add more goals. Panagarry stepped up at centre, providing the offensive players with the ball with each opportunity. Lauren Massey’s replacement at GD was made difficult by the merciless host team’s GA. Despite the twelve-point lead that Bath enjoyed in the last ten minutes of the third quarter, Lightning never gave up and chipped away at the score-line. The third quarter ended with Lightning 33 – 47 Bath. Panagarry took the first centre pass of the final quarter, with Bath quickly finding possession and capitalising on it. Jo Trip was back onto the court, Agbeze to GD and Massey over to WD. The numerous changes in the game made it clear that Lightning was keen to find a way to counter Bath’s experienced team. Corbin was back into form in the fourth quarter, with Walker providing opportunities to score at GA.
With the last five minutes winding down, Bath’s pace was clearly becoming too much for the visiting side as the gap never seemed to close for Lightning. The home side’s crowd was overwhelmingly loud as their team built on their lead over Lightning. As the game entered the final two minutes, Trip interfered with Bath’s offensive plays with Panagarry putting pressure on her opposite player. Lightning had a skilful long pass play from one end of the court to the other and finished it with a final goal for the side. Unfortunately, it wasn’t enough as Bath took the victory. Next week, Lightning take on Yorkshire Jets at home in the Sir David Wallace Arena, Loughborough University.